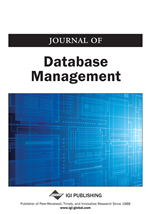 The emergence of Web databases has introduced new challenges related to their organization, access, integration, and interoperability. New approaches and techniques are needed to provide across-the-board transparency for accessing and manipulating Web databases irrespective of their data models, platforms, locations, or systems. In meeting these needs, it is necessary to build a middleware infrastructure to support flexible tools for information space organization, communication facilities, information discovery, content description, and assembly of data from heterogeneous sources. In this paper, we describe a scalable middleware for efficient data and application access that we have built using the available technologies. The resulting system is called WebFINDIT. It is a scalable and uniform infrastructure for locating and accessing heterogeneous and autonomous databases and applications.